Are white men particularly prone to carrying out the all-too-familiar mass killings of which last week's Aurora shooting is just the latest iteration? Is there something about the white, male, middle-class experience that makes it easier for troubled young men to turn schools and movie theaters into killing fields? In a word, yes. Not every mass murder in recent years has been committed by a middle-class white guy. 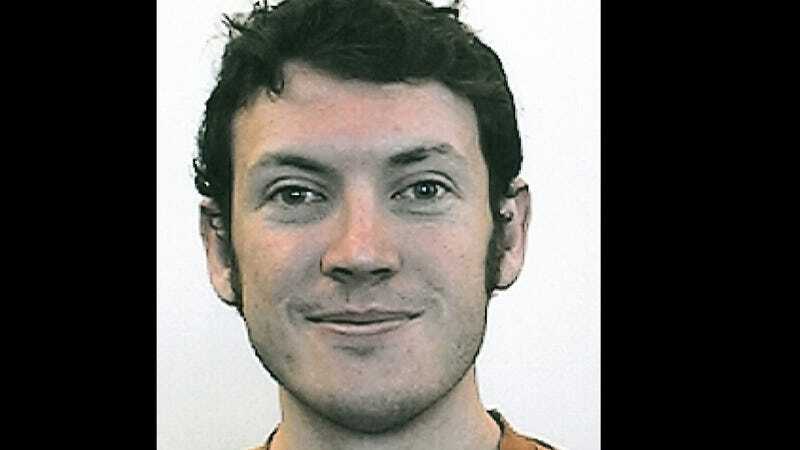 But as Jamie Utt pointed out in the hours after the Colorado theater massacre, in those rare instances where a man of color is responsible for a shooting spree (as in the 2007 Virginia Tech killings or the 2009 Fort Hood rampage), the popular reaction is to search for connections between the race or religion of the murderer and his act. After Seung-Hui Cho killed 32 people in Blacksburg, media attention focused on the likelihood that a Korean culture unwilling to acknowledge mental illness helped drive the young man to commit the worst mass murder in U.S. history. After Maj. Nidal Hasan carried out the Fort Hood shootings, his Muslim faith became all the public needed to know about his motive. It seems likely that Islamic extremism did lead Hasan to kill; it's possible that Cho's cultural background did mean that his psychological problems were particularly likely to be ignored. Ethnicity, faith, and social class are key parts of the modern human identity; they are always part of the explanation for why we think the way we think and act the way we act. The difference, as Chauncey DeVega made clear on Saturday, is that when white men commit mass murder we don't hear how their skin color, their maleness, or their social class were contributing factors to their acts. As Peggy McIntosh famously wrote in her White Privilege Checklist, we see whites as individuals whose moral state reflects their individual will. In other words, white men kill simply because they are "sick" or "evil." When men of color murder, it is because they are both those things and because of factors uniquely attributable to their race. Perhaps the greatest asset that unearned privilege conveys is the sense that public spaces "belong" to you. If you are — like James Holmes last week, or Charles Whitman, who killed 16 people on the University of Texas, Austin campus in 1966 — an American-born, college-educated white man from a prosperous family, you don't have a sense that any place worth being is off-limits to the likes of you. White men from upper middle-class backgrounds expect to be both welcomed and heard wherever they go. When that sense of entitlement gets frustrated, as it can for a host of complex psychological reasons, it is those same hyper-privileged men who are the most likely to react with violent, rage-filled indignation. For white male murderers from "nice" families, the fact that they chose public spaces like schools, university campuses, or movie theaters as their targets suggests that they saw these places as legitimately theirs. The vast majority of white men from comfortable backgrounds don't commit mass murder, of course. Our entitlement doesn't manifest in the sense that public spaces are ours to terrorize, but it does show up in the confidence with which we move in those spaces. The certainty of belonging is at the core of our privilege. When I went off to college at Berkeley, I felt as if I were following in the footsteps of my ancestors. I literally was; my maternal great-grandfathers had both graduated from Cal in the 19th century. I rushed the same fraternity to which my grandfather had belonged in the 1920s. Though I struggled with adolescent anxieties, I never doubted that I belonged on that campus. It was at Berkeley, however, that I learned about white male privilege for the first time. I saw how my sense of belonging served as an invaluable crutch in times of personal crisis. And by witnessing the experiences of roommates and friends from less advantaged backgrounds, I learned that the confidence I took for granted was given only to a few. My friends who were first-generation students did just as well in the classroom, but were often more tentative about navigating their way around institutional obstacles. My roommate Oscar — the son of farm workers from the Central Valley — once, with great effort and embarrassment, asked me to go with him to see an administrator. "I need your white boy mojo," he said with a pained grin, caught between jest and anger. That "white boy mojo" can still open all sorts of doors: to boardrooms, to judge's chambers, to country club memberships. It's not that those institutions are still overtly racist (though a few come close). It's not that white men are guaranteed preferential treatment in every setting. It's that white men are raised to expect to be welcomed wherever they go. When they find that that automatic welcome isn't forthcoming, they tend to be indignant. When angry middle-class whites gather together in political groups to "take back our country," what they want to grab back are the privileges they sense they've lost. We don't yet know what drove James Holmes to do the terrible things he did. We only partly understand what drove the likes of Eric Harris, Dylan Klebold, Charles Whitman, and the many other white men who have committed similar massacres. While each killer had a unique pathology that helped drive him to do the unthinkable, the fact that these white male mass murderers felt so confident choosing public spaces to commit their crimes reflects a powerful truth about the culture in which they were raised. Put simply, they did what they did because of an individual sickness — but they did it where they did it in part because of white privilege. It's not that white men are more violent. Rates of domestic violence, including homicide, are roughly the same across all ethnic groups. Statistically, murderers are more likely to kill family members and intimate partners than strangers. But while men from all backgrounds kill their spouses, affluent white men are disproportionately represented in the ranks of our most infamous mass murderers. In other words, the less privileged you are, the less likely you are to take your violence outside of your family and your community. White men from prosperous families grow up with the expectation that our voices will be heard. We expect politicians and professors to listen to us and respond to our concerns. We expect public solutions to our problems. And when we're hurting, the discrepancy between what we've been led to believe is our birthright and what we feel we're receiving in terms of attention can be bewildering and infuriating. Every killer makes his pain another's problem. But only those who've marinated in privilege can conclude that their private pain is the entire world's problem with which to deal. This is why, while men of all races and classes murder their intimate partners, it is privileged young white dudes who are by far the likeliest to shoot up schools and movie theaters. Lax gun laws provided the means for the Colorado theater massacre. A yet-unexplained psychotic break provided the likely motive. And at least in part, white male privilege determined both the location and the scale. This post originally appeared on Role Reboot. Republished with permission.